a beacon on Manchester’s skyline. centre of the UK’s second city are few and far between. Oxygen represents a market-leading product for luxury living in the city centre. home to the second largest China Town in the UK. 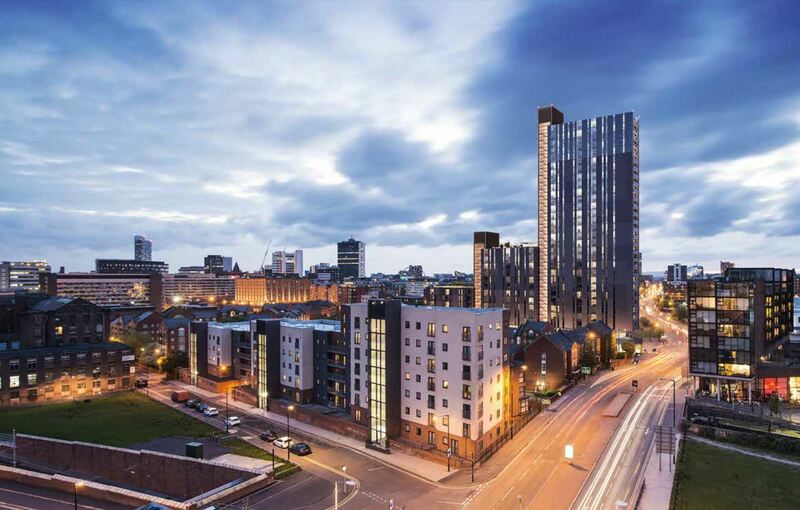 Manchester is identified by overseas investors as a source of opportunity with major strategic developments backed by investors from around the globe. A connected place. Connected to your friends, connected to Piccadilly and connected to the sky. Oxygen is unique. It’s a vertical village. Family town houses engage the street. Above the town houses sit the amenity deck with swimming pool and spa, gym and community hall. Above the amenity deck are apartments to live with views across the City and towards the Peak District National Park. The town houses and apartments have full height window and balconies allowing the generous internal layout to be flooded with natural daylight. allotments we have incorporated a coffee shop to get your morning fix. Generous storage and parking provision allow Oxygen to fit your lifestyle. 24 hour concierge and support from the on site Oxygen team will be at hand. Project Description: Oxygen consists of 3 block of 8-storey, 14-storey and 31-storey residential tower. An iconic 31 storey residential tower and a landmark for a world-class city. Comprising 351 stylish apartments, 12 townhouses, leisure and amenity facilities and sky gardens. Oxygen is located within a highly accessible location in close proximity to Manchester Piccadilly Station, the Northern Quarter and the main commercial core of the city centre. Submit signed PP, LOA and Reservation Form with copy of NRIC, Passport and proof of Address and a cheque of S$5,000 being Admin Fee payable to Huttons International Pte Ltd. Credit Card payment facility is available. Remit 20% (less £2k) payment to purchaser’s solicitor upon Exchange of Contract (Sep/Oct 2015). Balance 80% payable upon completion. For more information on Oxygen At Manchester, simply fill up your details below and our salesperson will get in touch with you shortly!